There’s a lot more to safes than being a heavy box with a lock on it. Safes have fire ratings, burglary ratings, and all sorts of other accessories and accessories to help secure and protect your valuables. When it comes to ratings, the gold standard is the Underwriters Laboratory (UL) and UL ratings exist for burglary and fire. Most safes older than 50 years old are not fireproof or burglary rated, but they are heavy and look cool. A safe does provide a little peace of mind. However, safes can have burglary ratings that explain how resistant a particular safe is. The ratings are actually quite comprehensive and when it comes to commercial safes, testing sometimes even includes 8 ounces of nitroglycerin (TXTL60 rating can survive an hour of attack). Residential Security Container (RSC): The safe can withstand 5 full minutes of prying, drilling,punching, chiseling, and tampering attacks. B Rating: Doors < 1″ thickness, body < ½” steel. C Rating: Doors at least 1″ thickness, body at least ½” steel. TL-15: Combination safe successfully resisted 15 minutes of attacks with common hand tools, electricaltools (TL stands for tool resistant). TL-30: Combination safe successfully resisted 30 minutes of attacks with common hand tools, electricaltools. Those ratings only cover attacks on the door and front face. You can get ratings for TL-15X6, which means tool resistant for 15 minutes on all six faces (hence the X6). There is also a TXTL-60X6 which means its torch, explosive, and tool resistant for sixty minutes. If you’re looking at a safe to give you some protection against fire, you’ll need to review its UL fire rating. The fire resistance ratings are easy to decipher once you understand how they’re structured. Each rating is given a class, which indicates the internal temperature of the safe once it’s been put in a furnace that is heated up to as much as 2000°F. Once it has reached a certain time, the furnace is shut off but the safe is still locked inside with sensor measuring all the pertinent factors like temperature and humidity. 85% humidity. This is suitable fordata tapes, magnetic drives, and compact disks. Class 350 means the safe sustains an internal temperature of 350°F and 85% humidity. This is for paper. In addition to the Class itself there will also be an hour rating, which means it can sustain that level of protection for that specified period of time. There are many safes to choose from and it is very important to know that your safe has the ability to do what you expect. Once you have it, you will never know if the papers inside will turn to ashes in event of a fire or be easily broken into if burglarized unless your have dealt with a reputable safe company that has helped you decide and place the safe in the optimum location for convenience and security. Furthermore, with electronic locks being so popular, it is important to know that the lock is not some inferior design that just comes with any safe. Most mass marketed safes have secret combinations or back door designs that will open the safe in a few minutes. Finally, expect to pay more from a reputable dealer. They are not just selling a box but a service. You only have one shot at making the right choice and if you are locked out or your jewelry turns green or your safe is missing one day, you will realize it was avoidable but too late. For over 40 years, Central Lock Company has been in the business of professional safes sales, service and installation. From changing combinations to building safe room vaults we understand your needs. 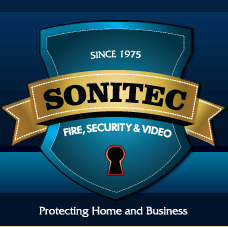 Please visit our Westchester NY showroom and allow us to help you choose your safe solution.